Welcome to Beijing! Your hotel room is available for mid-afternoon check-in. This morning, enjoy a PRIVATE GUIDED EXCURSION to the GREAT WALL OF CHINA, which once stretched 4,000 miles across China’s barren northern terrain from the Bohai Sea to the Gobi Desert. Walk along the wall and take in the stunning views of this mammoth fortress and the surrounding scenery. Return to Beijing for an afternoon at leisure. Begin your PRIVATE GUIDED SIGHTSEEING at TIAN’ANMEN SQUARE, the largest public square in the world. Next, stop at the FORBIDDEN CITY, a UNESCO World Heritage Site and the world’s largest palace complex. Once the home of China’s great emperors, today it showcases ancient Chinese architecture, landscaped gardens, and displays of rare art and artifacts. The afternoon is at your leisure. Fly to Shanghai, China’s center of trade and industry. 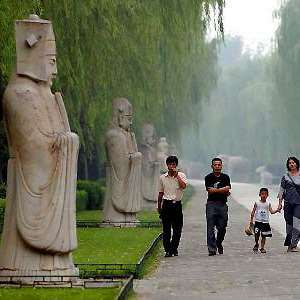 Your PRIVATE GUIDED TOUR starts at the YU YUAN GARDENS, dating back to the Ming Dynasty. Then, stroll along the Bund, the city’s riverfront boulevard lined with historic buildings, housing, banks, and trade houses. For lunch, stop at a local restaurant featuring XIAOLONGBAO, Shanghai’s most famous dish. These tasty soup dumplings are handmade with at least 18 intricate folds to close the top. The broth is the star so, to avoid wasting a single drop, gently pick up the dumpling, dip in sauce, and transfer to a Chinese soup spoon. Next, make a small hole to release the steam and allow the broth to cool. After it cools, sip up the broth and then swallow the dumpling. The remainder of the day is at your leisure. This morning, your PRIVATE GUIDED SIGHTSEEING starts at the SHANGHAI MUSEUM, featuring stunning displays of ancient bronze, jade, and ceramics. Then, take a WALKING TOUR of the former French Concession, once Shanghai’s leading residential and retail area. Today, the qualities that made the area so popular endure—from quaint, tree-lined streets and exquisite architecture to charming shops and fashionable restaurants and bars. Along the way, see the famous Art Deco Cathay Theatre, explore the narrow lanes of Xintiandi, and visit Fuxing Park, where locals play chess, dance, practice tai chi, and more. The afternoon is at your leisure. Today, fly to exciting Hong Kong. 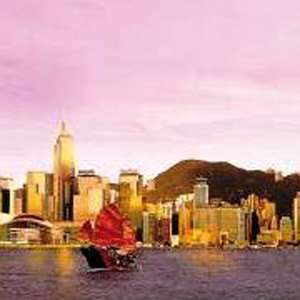 Your PRIVATE GUIDED SIGHTSEEING begins with a ride on the popular STAR FERRY from Kowloon Island to Hong Kong Island. On arrival, take a CABLE-CAR RIDE up Victoria Peak for panoramic vistas. Then, explore the old Sheung Wan neighborhood and visit the DRIED SEAFOOD MARKET. Savor a DIM SUM feast for lunch before traversing the Central District aboard the historic DOUBLE DECKER TRAM, commonly referred to as the “Ding Ding,” due to the sound of its bell. The remainder of the day is at your leisure. Enjoy a full day to explore Hong Kong and the surrounding area on your own. Perhaps consider an excursion to see the Giant Buddha on Lantau Island, explore nearby Macau, visit the Temple Street night market, or take a sunset cruise on the harbor. Located in the heart of the city means that you can explore both the modern metropolis of Beijing and its rich cultural history on foot. 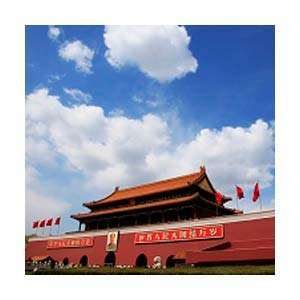 In a short walking distance is Tiananmen Square, the Forbidden City plus the highly popular shopping strips of Wang Fujing, with the Pearl and Silk markets close by. Ideally located within walking distance of Ti'ananmen Square and the Forbidden City and across the street from New World shopping mall. The Golden Tulip Bund New Asia merges the concepts of work and leisure with a playful, trend-led design concept. With this in mind, you'll find all the modern facilities one would expect from a 4-star hotel in Shanghai, from a state-of-the-art gym to afterhours cocktails. This brand-new hotel is located near the bustling Bund waterfront district, famous for its impressive blend of architecture. All rooms are outfitted to a high standard with the latest fixtures and sleek en suite bathrooms. Located in Tsim Sha Tsui's famous Knutsford Terrace, this hotel offers modern comfort in the lively heart of the city. 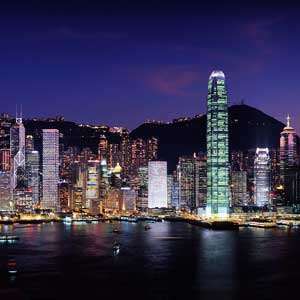 The hotel is located in the Tsim Sha Tsui area, just 20 minutes walk to Kowloon Park and Temple Street Night Market. The nature-themed rooms feature air-conditioning, flatscreen TV, and a view of either the Hong Kong Observatory or the Tsim Sha Tsui area. Perfectly located in the Central Business District, the luxurious Crowne Plaza Beijing Chaoyang U-town fuses modern sophistication with classical Chinese touches. Located in the Central Business District, near the Sanlitun Bar Street and Silk Market. The Chaoyangmen Subway Station is within a 5-minute walk from the hotel. Large windows flood each room with natural light highlighting the elegant and sophisticated finishes including plush bedding and granite countertops. The Fairmont Beijing Hotel, located in the heart of Beijing, offers top quality amenities, unique architecture, and superlative décor. Guestrooms come primed with first class amenities, including cutting edge technology, hand-selected linens and spa inspired bath products. Whether you indulge at the opulent Willow Stream Spa or dine in one of the award-winning restaurants this luxury hotel is sure to make for a comfortable stay. Located in Beijing's Central Business District, close to Silk Street Market, China World Trade Center, and Yintai Centre. Minutes to the Forbidden City and the cultural heart of Beijing. Near a main thoroughfare the hotel offers convenient to the city. Rooms are designed in a blend of traditional and modern Chinese style. High tech amenities include Wi-Fi access, flatscreen TVs, and bathroom with separate bath and rain shower. Fairmont Peace Hotel, a 'luxurious Art Deco masterpiece', brilliantly reinvented for the 21st century where old fashioned glamour sparkles with a new luster. This landmark hotel served as a glamorous playground for the elite, where every night was an extravagant gala event and veritable Parisian fashion show. Situated just steps from the famous Bund promenade and unrivaled shopping on Nanjing Road, it is the perfect place to explore Shanghai's spectacular scenery and vibrant lifestyle. Situated at the corner of the Bund and Nanjing Road, offering the premier location in all of Shanghai. Rooms are elegantly appointed with an Art Deco style and feature Wi-Fi access, walk-in closet, espresso machine, and flatscreen TV. The marble bathrooms feature separate claw-foot bath and rain shower. Built in 2009, the Grand Central Hotel Shanghai is a 15-minute walk to the Bund waterside promenade and offers all the modern amenities. Elegant rooms offer flat-screen TVs, minibars, and free Wi-Fi, and feature thoughtful touches like bathrobes and slippers. The Langham Hong Kong presents a refined European-style haven in the heart of the bustling Tsimshatsui shopping and tourism district. The elegant lobby welcomes you to this opulent hotel featuring innovative amenities, fine dining, impeccable service, and luxurious rooms. Located on Kowloon Island in the heart of the Tsim Sha Tsui district, the liveliest and most popular shopping and entertainment area in Hong Kong. Spacious rooms feature city views, modern furnishings, separate bath and shower, and complimentary Wi-Fi. Located on Canton Road in Tsim Sha Tsui, Prince Hotel is adjacent to China Ferry Terminal on Kowloon's busy waterfront and forms part of Harbour City - Hong Kong's largest shopping and commercial complex. The hotel is located close to main shopping and tourist attractions such as the Hong Kong Museum of Art and Kowloon Park. Savour the tastes at one of the hotels dining options or sip on a drink at the Bubbles Bar. Whatever your reason for travel the hotel offers attentive service and tangible comforts to help make your stay a memorable one. Located on Canton Road in Kowloon's bustling entertainment district of Tsim Sha Tsui, offering easy access to shopping, restaurants, and the Star Ferry Terminal. Each comfortable room includes complimentary Wi-Fi access. As impressive as China's Ming Tombs themselves is the well-preserved Sacred Way (Divine Road), constructed in 1540 as a path to the Imperial Changling Mausoleum. In ancient times, it was said that the emperor, the "Son of the Heaven", would use the Sacred Way to travel back and forth between Heaven and Earth. Experience one of the most beloved theatrical traditions in China! 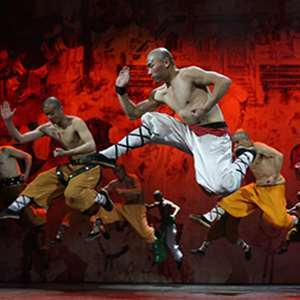 The Legend of Kung Fu Show is a phenomenal fusion of martial arts, theater, dance, and Chinese acrobatics. 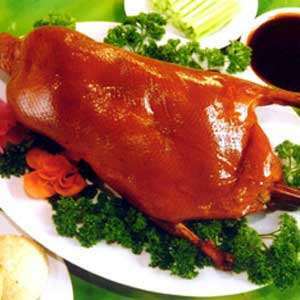 No visit to Beijing is complete without sampling delectable Peking duck, the national dish of China. 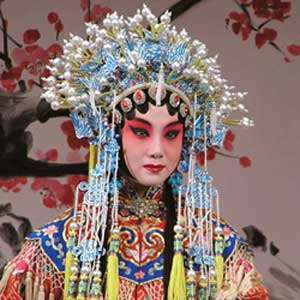 Music, drama, dance, martial arts, acrobatics, exquisite costumes, colorful sets ¿ traditional Chinese opera has it all, and is considered one of China's cultural treasures. 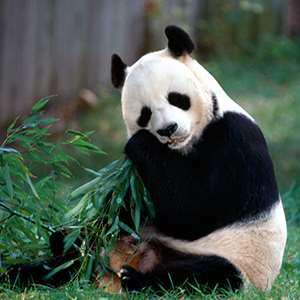 Spend a delightful day devoted to one of China's most beloved icons at the world-famous Beijing Zoo. 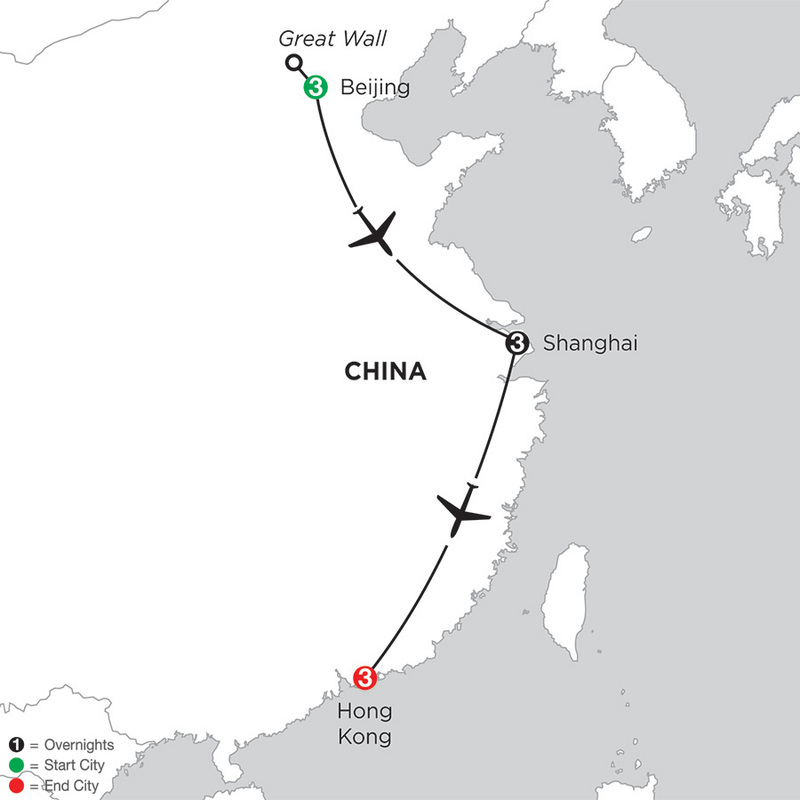 Journey to a place where Chinese emperors believed Earth and Heaven meet. On this fascinating excursion, we'll introduce you to the mystical Temple of Heaven, dating back to 1420 AD and built by the emperor who commissioned the Forbidden City. 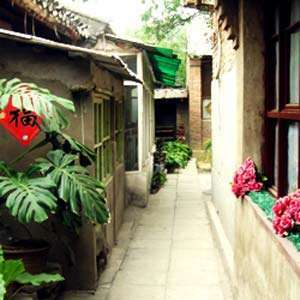 Explore Beijing's labyrinth of ancient alleys (hutongs) on this excursion that highlights the distant past-and current local culture. 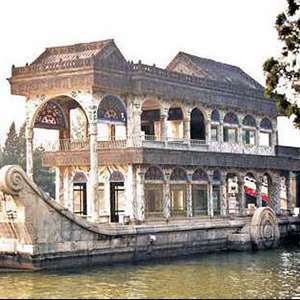 Spend a relaxing afternoon with an expert Local Guide, exploring the former Summer Palace, a complex of pavilions, temples, and galleries set among beautifully landscaped grounds on Kunming Lake. Experience a breathtaking spectacle of mind-blowing skill, artistic beauty, and gravity-defying aerobatics at a thrilling acrobatics performance in Shanghai. 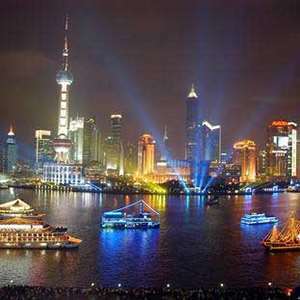 Get a totally different perspective of Shanghai on a captivating evening cruise along the city's largest river. Leave the modern world behind and join us for a few hours as we travel back in time more than 1,700 years to the ancient water town of Zhujiajiao. 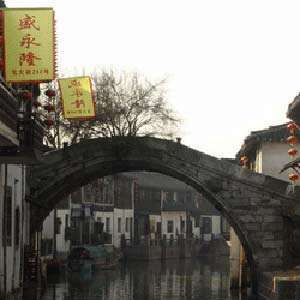 Also known as "Pearl Stream", this quaint, fan-shaped village is the best preserved among Shanghai's four Old Town areas. Experience Hong Kong from Sky, Land and Sea. Join us on an incredible journey to see the world's greatest cityscape transform into the world's greatest light show! 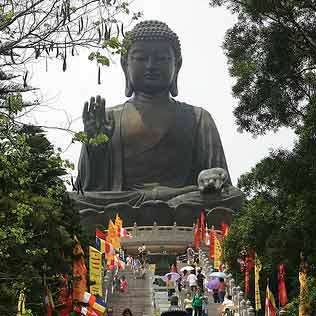 On this full day tour, travel by ferry to visit Lantau Island, Hong Kong's largest island, and home to the Giant Buddha at Po Lin (Precious Lotus) Monastery. We help you explore one of the world's richest cities on this exciting day trip to what was once the oldest European settlement in the Orient. 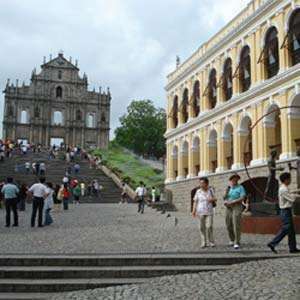 Ruled by the Portuguese Empire from the 16th century until 1999, Macau is Asia with a Mediterranean twist. Monograms provides travelers access to a Local Host®, so you will have someone on hand to answer those vacation questions pertaining to Beijing. No waiting in line at the concierge desk or trying to ask your waitress at breakfast directions to the shopping district. Simply ask your Local Host about Beijing and you'll be on your way in no time. Plus, your Local Host will share local Beijing insights and share suggestions for getting off the beaten path, leaving you more time to create lasting vacation memories that are yours alone. How can you not love it when showing people from all over the world the breathtaking scenery, the ancient history and the colorful diverse culture of your own country becomes your job! Come and join me for a worry-free vacation in China. You'll find there is so much more than you ever expected. Whether you want to find designer clothing knock-offs or you just want an entertaining afternoon, a visit to this market is recommended. The bustle and searching is part of the fun, as is the bargaining. In fact, you’re expected to haggle and should never take the first (or probably second, or third…) price offered. Houhai Bar Street in the famous Shichahai area is where traditional Chinese and western culture mix. With over 120 unique bars to choose from, visitors from all corners of the world can find one that suits their fancy. Make sure you experience a traditional tea ceremony before you leave Beijing. It’s an opportunity to soak in centuries of history at the same time you relax with a soothing cup. Zhang Yiyuan has earned a reputation over many decades as a purveyor of quality teas, and the building is made up of seven private rooms, offering diverse environs. Located in the northeastern part of Beijing, Yonghe Lama Temple is one of the largest Lamasery temples outside Tibet. Besides the magnificent buildings with both Chinese and Tibetan styles, the temple also had a number of priceless collections of Buddhist treasures, including a standing 26-meter high statue of Buddha Sakyamuni carved out of a single sandalwood tree. A walk along Houhai Lake offers peaceful views of the distant ancient green-roofed and red-walled imperial palaces. Located at the center of Beijing City and about 5 bus stops from the Tian’anmen Gate, Houhai Lake meets the famous Beihai Lake in the south and faces the Summer Palace and Jing Mountain in the distance. Monograms provides travelers access to a Local Host®, so you will have someone on hand to answer those vacation questions pertaining to Shanghai. No waiting in line at the concierge desk or trying to ask your waitress at breakfast directions to the shopping district. Simply ask your Local Host® about Shanghai and you'll be on your way in no time. Plus, your Local Host® will share local Shanghai insights and share suggestions for getting off the beaten path, leaving you more time to create lasting vacation memories that are yours alone. I have been an tour guide since 2003. I graduated from Shanghai Institute of Tourism with a major in Tourism and English. In 2006, I got the Bachelor's degree in Business and English from Shanghai JiaoTong University. To be an excellent tour guide, the most important quality is the attitude, secondly is the knowledge. I always treat my guests like my family members. Located in the western part of Shanghai the famous Jade Buddha Temple makes for an interesting visit. Built between 1918 and 1928, this temple is one of the city’s few active Buddhist monasteries. Here you can see two stunning jade Buddha statues that were brought from Burma in 1882 by a monk named Huigen. This huge space features a multitude of food and beverage, retail, entertainment, recreational, and residential facilities in restored “shikumen” houses, a form of traditional and unique architecture only found in Shanghai. It is a nice place to wander around for a bit. Nanjing road was one of the first commercial streets that appeared in Shanghai after the city opened as a port to foreign trade about 150 years ago. For decades, it was one of the country’s largest commercial hubs. In the 1930s, Nanjing road claimed the reputation as the retail center in China, gathering almost all the most famous shops, many of which were established in the Qing Dynasty. Today, these century-old businesses continue to draw throngs of customers and despite the ups and downs in Shanghai’s history, Nanjing Road has not lost the reputation as China’s most bustling shopping street. This area offers a wide variety of shops from cafes, bars and restaurants to art galleries, craft stores, and studios. What makes this area unique is that it doesn’t not look or feel like a shopping mall area. Tianzifang preserves its distinctly residential feel - with electric cables strung overhead and air-conditioning units perched to the outside of buildings. Monograms provides travelers access to a Local Host®, so you will have someone on hand to answer those vacation questions pertaining to Hong Kong. No waiting in line at the concierge desk or trying to ask your waitress at breakfast directions to the shopping district. Simply ask your Local Host® about Hong Kong and you'll be on your way in no time. Plus, your Local Host® will share local Hong Kong insights and share suggestions for getting off the beaten path, leaving you more time to create lasting vacation memories that are yours alone. The name isn’t entirely accurate—there are closer to 13,000 Buddha statues in the temple, as well as countless, larger ones lining the steps to the temple. They come in all shapes, sizes, and sorts—with one even riding a giant blue dog. There’s also a lovely 9-story pagoda beside the temple. A dim sum restaurant serves a wide variety—often dozens—of small dishes and Luk Yu Tea House is perhaps the best place to dive in. Dumplings of all sorts are a typical dim sum offering, as are rice rolls, steamed meatballs and vegetables, spring rolls, and sweets. Try as many types as your appetite will allow, including something unusual. The largest museum in the city, this is a wonderful place to learn about the cultural history of Hong Kong and China. Visitor favorites include the colorful costumes of the Cantonese Opera Heritage Hall and the sculptures and early art of the T. T. Tsui Gallery. The gathering place for all things bird, you don’t have to be an ornithologist to enjoy a look around the Yuen Po Street Bird Garden. There are dozens of markets selling birds, cages of mahogany and teak, and bird feed. You can watch as purveyors use chopsticks to feed crickets and nectar to their birds. Or sit back and listen to the songs from the birds brought by the proud owners who are there just to hang out. Immerse yourself in this park to get a piece of history and a taste of modern life at the same time. Once an imperial walled city, Kowloon contains many relics from those days as well as attractive gardens and pavilions in its eight sections. Rise early and you might get to see city elders practicing tai chi here. There are numerous museums in the district, as well as Hong Kong’s famous Clock Tower, but the real reason to venture here is to see the city skyline. The lights and skyscrapers are on full display from Tsim Sha Tsui. As a bonus, the city puts on a laser-light show each night at 8 pm. Looking for an evening full of entertainment? Head over to Lan Kwai Fong, one of Hong Kong’s most popular nightlife hot spots and home to over 100 restaurants, bars, clubs and shops. Depending on the time of year you visit, you may come across one of their carnivals or major festival celebrations. The name is a bit misleading, as people may no longer throw their “wish-paper” streamers into the tree. However, the home of the Lam Tsuen tree is still popular due to its history of inspiring people to literally lay out their dreams. You can now buy wish papers from vendors, write on them, and tie them to a rack at the site. There are also fortune-tellers nearby. This bustling night market is open from 4 pm to midnight daily. Here you can find all types of bargains including casual clothes and curios. You'll also often see fortune-tellers and professional Chinese chess players. The market really picks up after 7 pm.